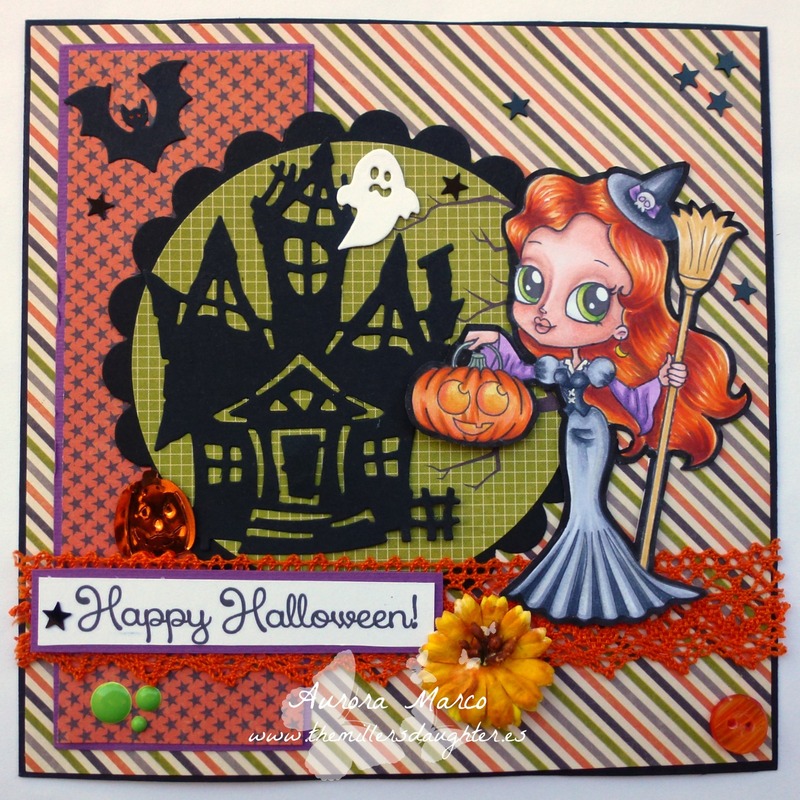 Today I'm here to show my inspiration card for the current challenge at Copic Spain with the theme Halloween. This card will be raffled between all the comments left in the Copic Spain blog, from today until my next entry (that is ALL comments in the blog, not only in my post). So, if you like it, leave us some comments! The more comments the more chances to get it! Hope you like it and decide to visit us. In this card: Dora the Protective Witch by Aliciabel. Sentiment from Faery Ink. I love this! The house is spooktacular and the image is lovely! Thanks for joining us at Love to Scrap! Que bonita! Me encanta esa brujilla, tiene pinta de ser de las buenas. La casita encantada es super chula también. Such a gorgeous card and your image is beautifully coloured. I love your layout too. Thank you for joining us at Get Creative Challenge.